The first thing you will need to do is learn how to speak and read Chinese unless you plan on moving specifically to Hong Kong. Hong Kong is a former British colony which reverted back to China in 1999, so English is the language that is still widely spoken on the island. There are actually two varieties of Chinese – Mandarin Chinese is what is used on the mainland, while it is Cantonese that is used in Taiwan and Hong Kong. It is inevitable that you will need to converse with the person who fixes your phone line or sells you shoes. The Chinese, as a rule of thumb, don’t speak English. Because of this, a lot of signs are in Chinese, and you might have to read them to find your way around. So what you need to learn depends on which area you plan to move to. China is actually a very big country, slightly larger than the United States. There are all sorts of climates there. Where it differs is in its 1.3 billion population (the USA has only a fourth of this), so jobs may not be easy to come by. Government regulations make it harder for foreigners to get a job. With strained diplomatic relations between China and the United States, it is even harder for someone from Boston, MA. If you have a job offer, find out which area it is in. Learn the appropriate version of Chinese and find out about living costs. It is easy to think that the costs of living are bound to be lower in China, as it is a developing country. 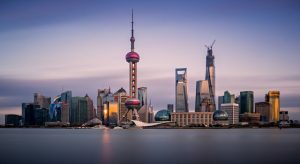 However, you may be surprised to find Shanghai and Beijing are ranked #16 and #17 on the list of the World’s Most Expensive Cities to Live in. Boston, by comparison, comes in at #129 on the list. Hong Kong’s rank is #6. Every work contract comes in English and Chinese. But in case of a dispute, the Chinese version takes precedence. So the Chinese contract needs to be checked carefully before you sign on the dotted line. In China, they will not accept your medical insurance. You need to opt for a local insurance policy. Rural clinics may refuse to treat foreigners, so when looking at the area that you plan to move to, make sure there is a city hospital nearby. If your future employer is handling your relocation, a lot of things become easier. This is primarily because he/she cuts through the red tape. As someone from Boston, you might be shocked at how slow and inefficient approvals could be were you to do everything yourself. Before making the move, you need to visit the place, preferably during a weather extreme like winter or summer. If it is in the colder areas, choose winter; if it is in a warmer region, choose summer. This should give you a better idea of whether you will be able to adapt to the local climate. The food is vastly different than what it is in Boston. American expatriates initially depend on McDonald’s and Pizza Hut for all their meals, and some gradually adapt to the local fare. Keep in mind that some of Chinese food may be ‘revolting’ to Westerners, including not-so-commonly eaten animals such as snakes, cockroaches and scorpions. China is not a free country. There is a lot of Government censorship. One person who moved to China was watching an interview with the Dalai Lama on BBC when the cable signal was suddenly interrupted. The last time this happened was when CNN was airing a news report that a Chinese human rights activist was in line to receive the Nobel Peace Prize. Liu Xiaobo did go on to win the coveted award, but couldn’t receive it – he was in a Chinese prison. Google, YouTube, Facebook and Twitter are all blocked in mainland China. However, they can be accessed in Hong Kong and Macau. In China, you are expected to blend in with the crowd and not stand out. The culture is extremely different than that of America, so finding about all these characteristics in person could influence your decision to move to China. If you can live with it all, then moving to China could be the best decision you’ve ever made. For more information on relocating, contact our relocation experts.